A video shows Israeli occupation forces in Jerusalem smashing the head of a Palestinian boy on the ground during a violent arrest, after Israeli troops stormed the Al-Aqsa mosque compound in eastern occupied Jerusalem this morning. The brief clip shows a boy being dragged by black-clad occupation soldiers. 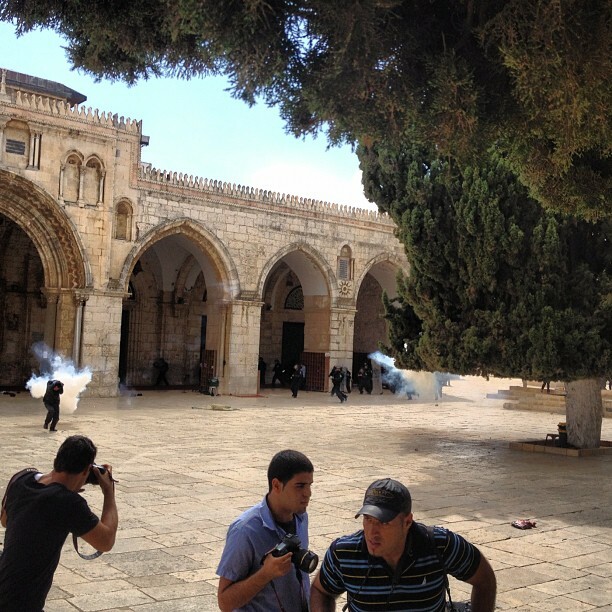 As the boy screams “khalas” – “enough” or “stop” – the soldiers throw him to the ground. One soldier punches the boy in the side of the head, smashing his head into the stone floor. The video was posted on the YouTube account of QNN, a Palestinian news group that operates on Facebook. 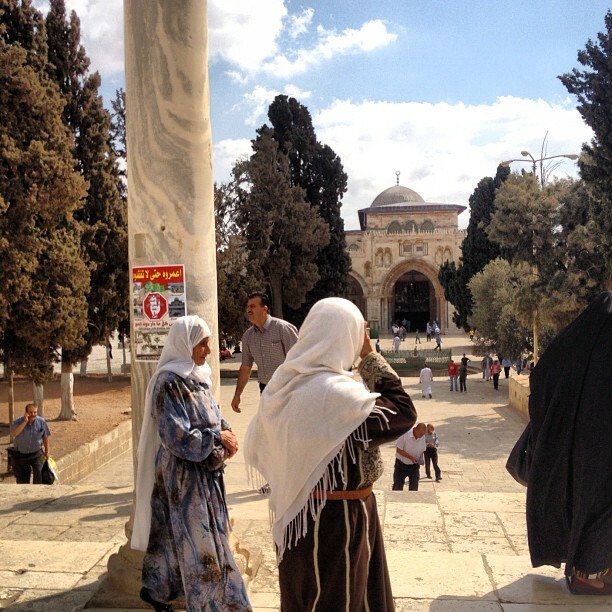 QNN identified the child as Hasan al-Afifi of the Bab al-Hadid area of the Old City of Jerusalem. The videographer is identified as Amjad Arafa. Israeli occupation forces arrested, today Friday, the Jerusalemite teenager Hasan Afif Hasan al-Afifi (age 17), of Bab al-Hadid in the Old City, after they attacked him. Al-Afifi’s mother told Wafa that her son was arrested during the violent confrontations that occurred at the Al-Aqsa mosque today, and that her son was nowhere near the mosque and did not participate in any activities. She stated that 15 members of Israel’s special forces attacked her son as he stood outside his house and beat him violently until his blood ran on the ground, and they sprayed her with gas as she tried to defend her son which led to her passing out. She indicated that her son was transferred to the Russian Compound interrogation and detention center in West Jerusalem. Palestinian children in Jerusalem are frequently targeted by Israeli occupation forces. Some 700 are arrested and detained annually in the city alone and are routinely subjected to cruel, violent and illegal abuses. 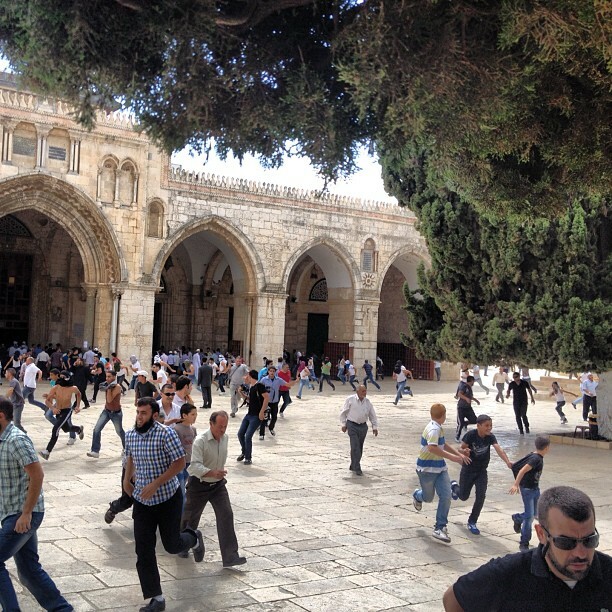 JERUSALEM (Ma’an) – Israeli police hurled stun grenades to disperse dozens of protesters who threw stones outside the al-Aqsa mosque, Islam’s third holiest site, after Friday prayers. Israeli police spokesman Micky Rosenfeld told Ma’an that police entered the compound and fired stun grenades after rocks were thrown at officers at Mughrabi gate. Tensions flared this week after police arrested Israeli ultranationalists who tried to hold prayers at the compound, known by Jews as the Temple Mount, as the site of two biblical temples. 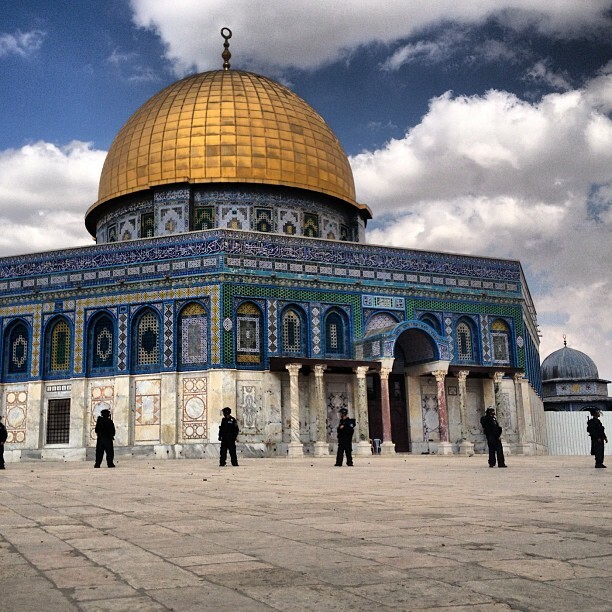 Ok can I predict an Israeli invasion of aqsa today??? @RaynerSkyNews it all depends on where this protest inside decides to march towards!!! Israeli army's cowardly, bloody attacks against children. The multiple, video-documented episodes of Zionism's criminal assaults against unarmed Palestinian women and children reinforce the profoundly negative image Israel has created for itself throughout the world since the state was established by terrorists in 1948. In our our prayers let us not forget to pray for the perpetrators as hard - or harder - as we pray for the defenseless victims of their brutal crimes. Judgement Day awaits us all - with Zionists first in line. Yes, Jesus told us to ".. Yes, Jesus told us to "...pray for them that despitefuly use you."